The very first thing that I noticed that there are flags, Canadian flags. And it was then, everything, a different world, everything was different for me. What is the settlement experience of immigrants coming through family reunion intake class in Kamloops, BC? The importance of undertaking this study lies in the settlement challenges faced by smaller communities outside of the major metropolitan areas of Canada. It is imperative to better understand the settlement experience of family-class immigrants in a smaller city. British Columbia is a large province and settlement experiences can be very different from one community to another. From 2002 to 2006 there were 4,111 new immigrants to the Thompson Okanagan Development Region (BC Multiculturalism and Immigration Branch, May 2007). All immigrant groups rely on health, education and other social services, and social workers play a key role in the delivery of direct and essential services. This study will generate discussion and policy recommendations for government, practitioners, policy-makers and other stakeholders around issues such as needs and settlement experiences of immigrants, ethno-specific groups, credentials recognition and other labour market issues, and capacity issues for delivering key services in a smaller community. This community-based study investigates the settlement experiences of family class immigrants in Kamloops, British Columbia. Immigration is recognized as a critical aspect of Canada’s economic, social and political development. The majority of studies conclude that immigration produces a small, but positive, net economic benefit to Canada over the long term (Citizenship and Immigration Canada, 2001). Although immigration is within the jurisdiction of the federal government, provincial and municipal governments also have an important role to play in ensuring the successful integration and settlement of newcomers. “While different immigrant and refugee groups often have very different needs, they all rely on the health, education and other social services that provincial, territorial and municipal governments deliver to all members of society” (Citizenship and Immigration Canada, 2001, 15). However, newcomers to Canada have predominantly settled in larger cities. For example, statistics indicate that 70 per cent of Canadian immigrants move to Vancouver, Toronto, or Montreal (CIC News, Canadian Immigration Newsletter, January 2008). Furthermore, the Vancouver and Metropolitan area was the initial destination for the majority (91%) of all BC immigrants from 2002-2006. (Multiculturalism and Immigration Branch, May 2007). Subsequently, concerns have been raised about this urban phenomenon, and the resulting uneven distribution of population growth, as well as the absorptive capacity of Canada. Furthermore, concerns over rural depopulation, and labour needs due to shortages of skilled workers, have also encouraged dispersal of immigrants to non-metropolitan communities. Consequently, all governments are seeking to develop ways to encourage immigrants to settle in ‘non-traditional’ destinations (Citizenship and Immigration Canada, 2001). Thus during the past few years initiatives to attract immigrants to smaller cities and communities have been undertaken collaboratively between both federal and provincial governments. For example, a regional immigration initiative led by the Ministry of Community, Aboriginal and Women’s Services (MCAWS) and Citizenship and Immigration Canada (CIC) through the Agreement for Canada – British Columbia Cooperation on Immigration and Memorandum of Understanding on Regional Immigration was introduced in BC in August 2006. Likewise, WelcomeBC, a provincial initiative supported by the Government of Canada through the same Agreement was introduced in 2007. WelcomeBC also recently launched an expansive website to assist potential and new immigrants in their settlement process and integration in British Columbia (Ministry of Attorney General and Minister responsible for Multiculturalism Citizenship and Immigration Canada, 2008). Furthermore in 1997, a “Settlement Renewal” initiative to realign settlement administration and federal funding was offered to the provinces and territories, and BC was one of the provinces to sign a Settlement Realignment (SR) Agreement with CIC in May 1998. From 2002 to 2006 there were 4,111 new immigrants to the Thompson Okanagan Development Region (BC Multiculturalism and Immigration Branch, May 2007). This study seeks to determine how family class immigrants are welcomed, included, and sustained in small cities such as Kamloops. British Columbia is a large province and settlement experiences can be very different from one community to another. Unfortunately, “even when small and medium-sized cities succeed in initially attracting immigrants, many newcomers soon gravitate to larger and more established immigrant communities in Canada’s three largest cities” (Citizenship and Immigration Canada, 2001, 29). Smaller cities must realize that to become more attractive immigration destinations, they must implement new strategies to attract and retain newcomers and provide adequate support systems. This is imperative in health, education, and social services, where social workers play a key role in the delivery of direct and essential services. “In fact, the success of the Canadian approach to integration can be attributed to a large extent to the extensive network of local service delivery partners” (Citizenship and Immigration Canada, 2001, 16). What is the role of health, education, employment, language, housing and social services in the settlement experiences of immigrants coming through family reunion intake class? How do family-class immigrants in Kamloops identify their settlement needs within a small city? What components of cultural continuity are identified as key by newcomers? What supports do family-class immigrants require in facilitating their settlement experiences? How do we enhance existing settlement programs, particularly to meet labour market and language needs? What are “best practices” in settlement and integration in a small city? The next section provides information on the conceptual ideas informing the research, as well as the larger context of national and provincial initiatives on settlement and immigration. What is a Small City? Kamloops is the B.C. Interior’s third-largest city with a population of nearly 85,000. Located at the junction of four major highways, two major railways and the North and South Thompson Rivers, Kamloops is a service and transportation hub for much of the Thompson Okanagan Region. The highways are the Trans-Canada, the Yellowhead, Highway 97 and the Coquihalla. The railways are Canadian Pacific and Canadian National. Kamloops is referred to as a year-round playground including world-class fishing available at its many surrounding lakes in summer and skiing at nearby ski resorts in winter. The city is also known as the Tournament Capital of Canada, hosting dozens of regional, provincial and national tournaments each year. Kamloops will host the 2011 Canada Summer Games. According to the Small Cities CURA Mapping Quality of Life and Culture CURA Research Program Community-University Research Alliance at Thompson Rivers University a small city exhibits the following characteristics: (1) a discernable downtown core; (2) an authentic, locally celebrated history in a place physically separate from major metropolitan centres; (3) a measurable level of cultural participation, including a tradition of volunteerism, growth coalitions, and leadership; and (4) a creative cultural policy that links the city’s centre and heritage to its outlying areas and communities. The CURA Research Alliance is currently contributing to a national dialogue on quality of life and the cultural future of smaller cities. Research on quality of life measures and cultural indicators particular to small cities is of critical interest to urban planners, social policy makers, cultural organizers; to academics in urban studies, cultural studies, social work, the social sciences, environmental studies, and the arts; and to the general public. Because this study focuses on the settlement experiences of family-class immigrants the next section will provide a definition of Citizenship and Immigration Canada (CIC) family sponsoring process. A Canadian citizen or permanent resident may sponsor her or his spouse, common-law partner or conjugal partner, or dependent children to come to Canada as permanent residents. Citizens and permanent residents can also sponsor other relatives, including parents and grandparents, brothers, sisters, nephews, nieces, and grandchildren who are under 18 and unmarried. In Canada sponsors must promise to financially support the family members applying for permanent residency status. As a result, sponsors must meet certain income requirements. If one has previously sponsored relatives to come to Canada and they have later turned to the government for financial assistance, one may not be allowed to sponsor another person. Citizenship and Immigration Canada (CIC) refers to the immigrants who are eligible to use this family sponsoring process as the Family Class. In June, 2007, the Province of British Columbia announced WelcomeBC, which has a twofold purpose: to assist immigrants in accessing a wide variety of settlement and integration services, and to ensure that B.C. communities have the capacity to be welcoming and inclusive. By uniting B.C.’s comprehensive settlement, integration and welcoming communities initiatives, WelcomeBC sends a message that we all benefit when every community member can participate fully in local economies and community life. Within this framework the Welcoming and Inclusive Communities and Workplaces Program (WICWP) recognizes that the goal of integration is a two-way process. This requires a commitment on the part of newcomers to adapt to life in Canada and on the part of Canadians to welcome and adapt to new people and cultures. WICWP is innovative in that it seeks to engage diverse sectors and groups to enhance social cohesion and advance community change. It serves as a bridge between diverse sectors and provides an opportunity for collaboration and broader sector engagement in fostering welcoming and inclusive communities. In 2007, 236,758 new immigrants made Canada their home, a 5.9% decrease from 2006. This was the second year in a row that immigration levels were down, however, 2007 still saw the fourth largest number of arrivals since 1998. Following the national trend, the number of immigrants arriving in B.C. declined for the second year in a row. 2007 levels were lower than the previous two years, but still the third highest in the last 10 years. In 2007, B.C. received 38,941 immigrants, a 7.5% decrease from the 42,084 arrivals in 2006. B.C.’s share of total immigration to Canada also decreased from 16.7% in 2006 to 16.4% in 2007. In 2006, over one-quarter of British Columbia’s population were immigrants, and the province continues to receive nearly 40,000 new immigrants each year. Accordingly, the proportion of B.C.’s population made up of immigrants has grown steadily over the past two decades, from 22.0% in 1986 to 27.2% in 2006. Today, immigration is a major component of population growth in B.C. Immigrants, and especially recent immigrants, have not settled in the province in the same pattern as the total population. The regional distribution of immigrants is quite different from that of B.C.’s total population, and the characteristics of immigrants living in B.C.’s regions vary as well. The recent releases of 2006 Census data provide the most comprehensive and up-to-date portrait of B.C.’s population. Immigrants in B.C. have settled unevenly across the province. The Lower Mainland – Southwest Development Region is home to the largest populations of immigrants and recent immigrants. While 59% of British Columbia’s total population lived in this region in 2006, 90% of recent immigrants living in B.C. made their homes here. Disproportionately few immigrants and recent immigrants lived in all other Development Regions. The Thompson – Okanagan Development Region was home to 491,479 people in 2006. The population of this region grew by 26,437 people, or 5.7%, between 2001 and 2006. In 2006, there were 63,190 immigrants in the region, 8.3% more than in 2001, who made up 12.9% of the total 2006 population. The region was home to 5.6% of all immigrants living in B.C. Despite the arrival of new immigrants into the region, the share of the population made up of immigrants actually declined in each census year since 1986, indicating that the growth in the numbers of Canadian-born people, either through natural increase or migration from other parts of the province or country, has been greater than the growth of the immigrant population. In 2006, 5,210 recent immigrants lived in the Thompson – Okanagan Development Region. Recent immigrants composed 8.2% of all immigrants in the region, and 1.1% of the total population of the region. The most common world regions of birth among recent immigrants were Asia and the Middle East (34.4%) and Europe (32.0%). The United Kingdom was the single largest country of birth among recent immigrants living in the Thompson – Okanagan Development Region; 715 recent immigrants were born in the United Kingdom, and made up 13.7% of recent immigrants. Approximately the same number of recent immigrants (710) were born in India, and made up 13.6% of recent immigrants. Over the past five years, on average, close to 39,000 new immigrants have arrived in B.C. each year. Immigrants come to different communities of B.C. bringing their skills, knowledge, business experience and culture. They settle in communities and help to support the local economy and invigorate communities by providing labour, by supporting local business, and by sending their children to local schools. Interestingly, social-economic characteristics of immigrants who settle in B.C. communities are quite different. Immigrants’ age structure, gender breakdown, education, English ability and source countries vary across each of the B.C. Development Regions. 4,111 new immigrants came to the Thompson/Okanagan Development Region from 2002 to 2006, accounting for 2% of total B.C. immigrant arrivals during the period. Close to three quarters (73%) of immigrants arrived in the region with English skills. The region had the highest proportion (36%) of immigrants who came with secondary or less education. The primary source countries of immigrants to the region were India, the UK, the US, the Philippines and Mainland China. Kamloops Immigrant Services (KIS) is an important member of the community-based research team. KIS is a not for profit registered society and registered charity. The purpose of the Society is to deliver a broad range of programs which are sensitive to the needs of the culturally diverse community; to deliver programs and activities designed to facilitate immigrants, visible minorities, first generation Canadians and their families in becoming full and equal members of Canadian Society; to inform and sensitize the region on immigration, settlement, integration, and multicultural issues; and to promote the elimination of racism and to facilitate organizational and institutional change. Kamloops Immigrant Services delivers most services in the Kamloops community, with individuals come from outlying areas such as Merritt, Ashcroft, Salmon Arm, Revelstoke, Clearwater, 100 Mile House and Barriere to access services. On occasion staff is required to travel to these areas and other areas to assist individuals and/or organizations. Every year, more than 40,000 immigrants move to British Columbia to start a new life. The challenge is to help those new residents settle in, to feel that their new country and province is becoming their new home. Adapting to a new life can be difficult: the community is unfamiliar, and both the culture and language may be very different. To help immigrants feel comfortable in their new community, the Government of British Columbia provides a wide variety of programs – from providing the personal touch to welcome people into their new community, to helping newcomers understand official forms and paperwork. Information and Support Services provide immigrant newcomers with information about BC society, guidance and support on personal and family adjustment issues, and connect newcomers to the broader community. In most cases, services are provided by settlement workers at third party organizations and are often available in the first language of the newcomer. The research team brings together social work faculty at Thompson Rivers University, community-based partners at Kamloops Immigrant Services, and practitioners at the Interior Health Authority, as well as student research assistants. By working together as equal partners in the research, postsecondary institutions and community organizations can jointly develop new knowledge and capabilities in key areas, sharpen research priorities, provide new research training opportunities, and enhance the ability of social sciences research to meet the needs of Canadian communities in th midst of change (SSHRC, 2008). The community-based research approach allows for the development of short and long-term strategies that address the aspirations of immigrants, laying the foundations upon which immigrants’ potential can be nurtured, supported and realized, is identified as an anticipated action outcome. The data for this research were collected from January to August 2008 using three qualitative research techniques: key informant interviews, focus groups, and photovoice. Social work practitioners, service providers, settlement workers, and local officials were interviewed to gather information about process, access, strengths and barriers; one of the best ways to gather this information was to ask additional questions during the interviews. It was important to organize focus groups with family-class immigrants to be certain they understood the questions being asked; as well, by having other immigrants in the room, conversations around services and settlement needs flowed more easily. Key informant interviews were conducted with persons involved in providing services to family-class immigrants in Kamloops, and allowed for in-depth perspectives on the issues associated with providing services to immigrants. It also allowed service providers to be candid regardings the current nature of service provision in Kamloops. Settlement workers were asked if they would help contact recent family-class immigrants to Kamloops in order to involve them in the study. Settlement workers therefore contacted immigrants through their own contact lists and encouraged them to participate in a focus group. As a result, four focus groups were conducted in May and June 2008. The rationale for using a focus group with immigrants was to encourage group interaction, thereby ensuring insight that would otherwise be less accessible. All of the focus groups were held at Kamloops Immigrant Services where immigrants usually receive services. Interpretors were available to assist immigrants and the researchers during the focus groups, as required. Photovoice, an innovative participatory action method, was utilized in order to allow immigrants to reflect on their experiences and support needs through taking pictures which represent their “voice” about these experiences. This method also allowed the research to influence the wider community in Kamloops through a powerful visual representation of the experiences of immigrants. Settlement workers and family-class immigrants were invited to participate in photovoice. Data from the key informant interviews with social work practitioners, service providers, settlement workers and local officials were all transcribed verbatim. The data was then analyzed and sorted using a coding system. Several studies have shown that most, but not all immigrants first choose their destinations based on the presence of kinship and ethnic networks, and then on potential employment opportunities. If there is enough critical mass of a particular immigrant group in an area then others will follow. Their decision to stay will also depend on employment, appropriate social services and a welcoming community (Bruce, 2007). A welcoming community is one where there is strong support for contributions, challenges and diversity offered by immigrants (both in and outside of the workplace), an engaged voluntary sector to provide ongoing support to newcomers, quality local infrastructure (housing, schools, etc.) to accommodate new residents, and the provision of effective settlement services in coordination with the provincial government (Bruce and Lister, 2005). Research on rural community development shows that in general social cohesion and social interaction are extremely important in rural communities (Bruce, 2003); therefore smaller communities must prepare themselves to welcome and integrate immigrants into their communities if there is any hope that they will remain and be contributors to the community. Based on the preliminary analysis, there were several key factors identified by informants regarding Kamloops’ community capacity to attract and to retain immigrants. Similarly with the literature reviewed employment, business and education opportunities, family and friends, established ethnic and religious communities, the provision of settlement and integration services, access to health care and to affordable housing, and a welcoming population, were identified as important factors. In Kamloops retention issues identified were affordability of basic life needs, accessibility to services for themselves and their children (health care, education), safety, community openness and acceptance and proximity to services, employment and activities. 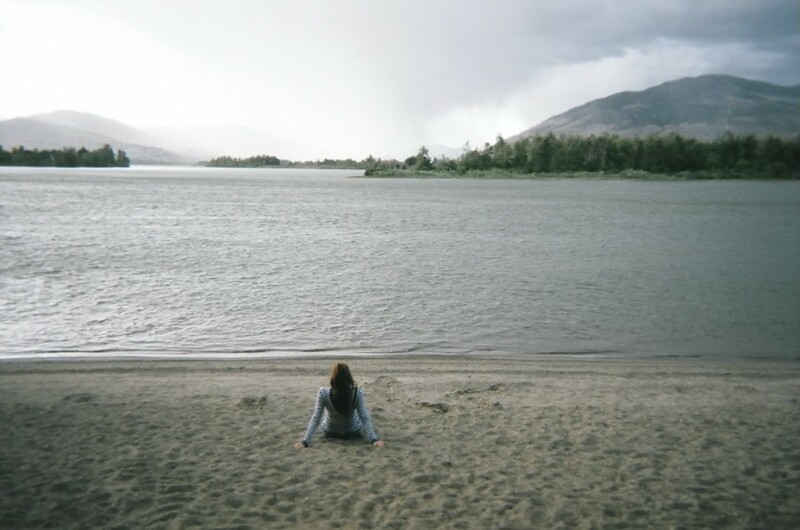 Specifically, credential recognition and employment, and uniform education and qualification requirements, were identified as a challenge for newcomers to Kamloops. Language barriers experienced by older immigrants was an important finding. Several participants identified that more community programs and initiatives to welcome newcomers are needed. For instance, greater collaboration between organizations such as KIS or other community initiatives and various ethnic/cultural groups in Kamloops would be helpful with an integration process. More information and education about the diversity of cultural norms has to be introduced to the community to facilitate understanding and cooperation. The focus groups findings show that the needs and expectations of the younger immigrants are very different from the older generation where the young see adaptation as a two-sided process and make shifts based on the new cultural expectations whereas older newcomers have an understandably more difficult time of making their own shifts to become a part of the local landscape. Photovoice, an innovative participatory action method, was utilized in order to allow immigrants and settlement workers to reflect on their experiences and support needs through taking pictures which represent their “voice” about these experiences. This method also allows the research to influence the wider community in Kamloops through a powerful visual representation of the experiences of immigrants. The next section illustrates the resulting images gathered by photovoice, and the accompanying story describing family-class immigrants settlement experience. This paper summarizes preliminary findings of a community-based research project which explores the settlement experiences of family-class immigrants in Kamloops, BC. The results of the study thus far indicate that although newcomers indicate many positive aspects of settlement in Kamloops, they also note areas of concern. Based on the preliminary analysis, there were several key factors identified by informants regarding Kamloops’ community capacity to attract and to retain immigrants. Similarly with the literature reviewed employment, business and education opportunities, family and friends, established ethnic and religious communities, the provision of settlement and integration services, access to health care and to affordable housing, and a welcoming population, were identified as important factors. Retention issues identified were affordability of basic life needs, accessibility to services for themselves and their children (health care, education), safety, community openness and acceptance, proximity to services, employment and activities. Specifically, credential recognition and employment, and uniform education and qualification requirements, were identified as a challenge for newcomers to Kamloops. Several participants identified that more community programs and initiatives to welcome newcomers are needed. For instance, greater collaboration between organizations such as KIS or other community initiatives and various ethnic/cultural groups in Kamloops would be helpful with an integration process. In addition, more information and education about the diversity of cultural norms has to be introduced to the community to facilitate understanding and cooperation. This study is still underway and further findings will continue to emerge as more depth of analysis is applied to the data. However, it is important to note the concerns noted thus far. Omidvar and Richmond (2003) refer to the growing exclusion of Canada’s newcomers, as well as the crisis of settlement policy in Canada which emphasizes initial stages of adaptation, and call for a redefinition of the basic notion of settlement to include a long term perspective. They also speak to the precarious state of funding cutbacks and imposed restructuring of the non-governmental sector delivering settlement services. Furthermore, they query whether the immigration dispersion policy will create more exclusion rather than inclusion of newcomers. It is concluded from this study that further research is required to investigate immigrants’ integration and success in smaller cities such as Kamloops. This study involves a small sample size, and further research pertaining to other small cities, and rural communities in the Interior of BC would be beneficial. The research team gratefully acknowledges the financial support of Metropolis British Columbia for this research study. This paper was presented at the Small Cities CURA conference held at Thompson Rivers University on August 29, 2008. Bruce, David. “The Challenges of Immigration as a Rural Repopulation Strategy in Maritime Canada.” Our Diverse Cities. 3 (Summer 2007): 90-96. Bruce, David, and Gwen Lister, with Katrina Ellis. “Rural Repopulation in Atlantic Canada: A Discussion Paper.” Agriculture and Agri-Food Canada. 2005. Bruce, David. “Moving Rural Communities from Opportunities to Action in the New Rural Economy.” Opportunities and Actions in the New Rural Economy. Eds. David Bruce and Gwen Lister. Sackville, N.B. : Rural and Small Town Programme, 2003. 1-18. Canada. 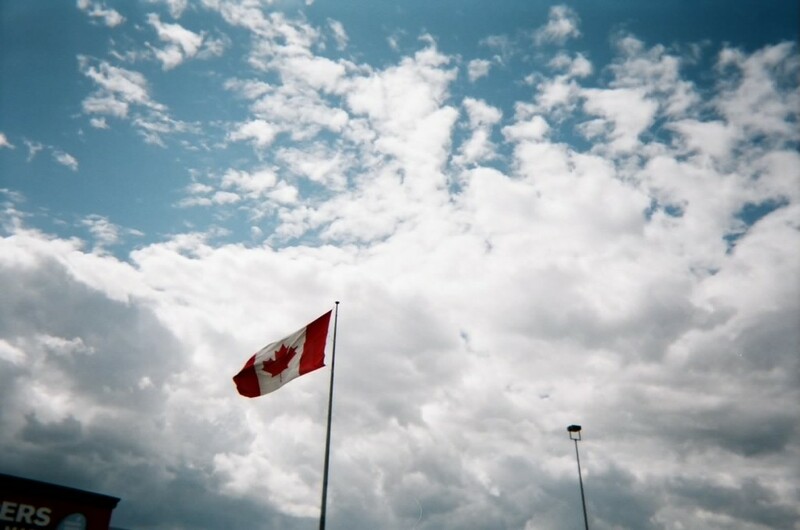 Citizenship and Immigration Canada, Integration Branch, 2001. Immigrant Integration in Canada: Policy Objectives, Program Delivery and Challenges, Draft for Discussion. Ministry of Attorney General and Minister responsible for Multiculturalism Citizenship and Immigration Canada, News Release Communique, Welcome BC Launches Easy Access, One-Stop Website, April 7, 2008. Multiculturalism and Immigration Branch, Fact Sheet, Regional Immigration in British Columbia, 2002-2006, May 2007.